The Beginning of the Road | AUTHOR. ACTOR. SWORDSMAN. ← Love those Bloggers! A terrific review for my boy Jack Absolute! This is where it starts. 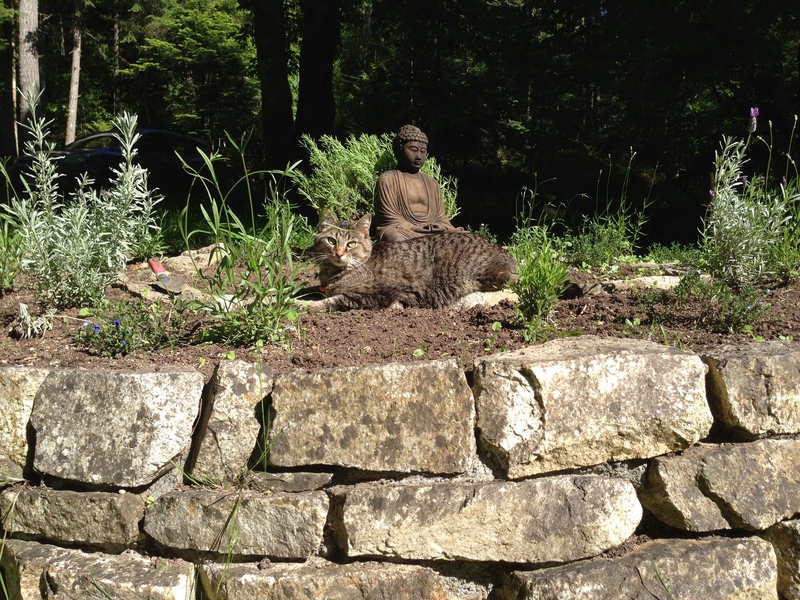 With my Buddha and my cat. I set out on my journey tomorrow. Toronto first, to drop off the manuscript of my next novel ‘Plague’, at Random House and meet my new editor. Plus have brunch with a film producer who was always interested in ‘The French Executioner’. Plus I’ll sign a few copies of ‘Shakespeare’s Rebel’ in various Toronto bookstores. Then its onto New York City for my reading from ‘Jack Absolute’ at the 18th Century tavern, The Ear Inn on Tuesday night. Wow! Four of my books in play, from my oldest to my newest. And while I’m on the road I am going to be plotting my next one. So Five. From One to Fourteen. Yikes! All so exciting. And I hope any of my American fans who are reading this are considering joining me on the road. Click on ‘Appearances’ above. I’ll be in NYC, Athens GE, Denver, Portland, and Seattle. For those who can’t – regular updates here. This entry was posted in Uncategorized and tagged historical fiction, novels, public readings, publishing news, Writing. Bookmark the permalink.